If you want to give students on different modules access to the same Panopto sessions. you don’t need to copy each session. Add another Panopto folder to the Blackboard course instead. Click the Choose a folder dropdown and select where you want the session(s) to be copied to. You can also start typing the name of the folder (eg the module code) and it will show you a list of matches to pick from. The sessions have been lined to up copy when you see a tick next to each one. You can close the window at this point, and the sessions will process. Under the section titled Copy Session, change the title of the new session (if you need to) then click Copy. 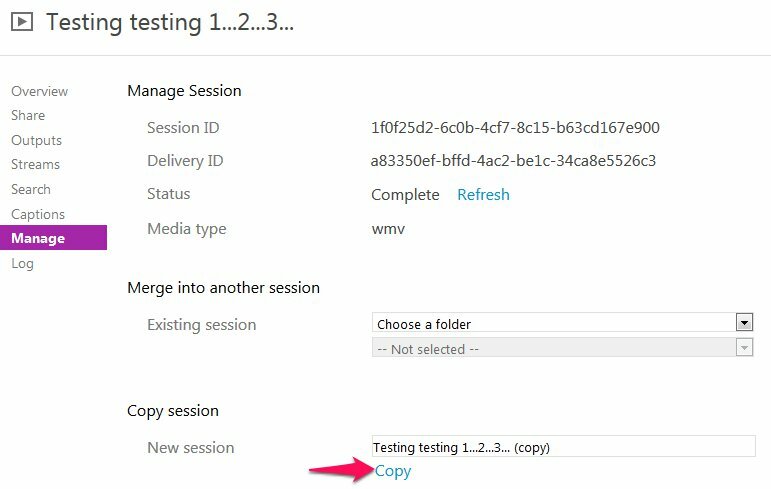 After you confirm that you want to copy the session, it is duplicated in the folder with the name you specified. 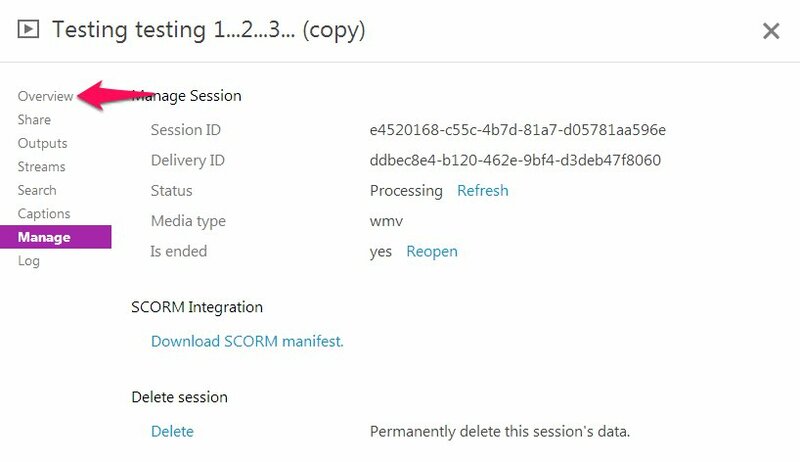 After a couple of sessions, the settings screen will update to show the settings for the copy of the session. You’re left with two copies of the session. One in the original folder, and one in the destination folder. The copy will go into the processing queue and be available to students in that folder when it is ready.